The National Weather Service has issued a flood warning for the South Sulphur River near Cooper until late Monday night or until the warning is cancelled. At 10:15 AM Monday the river stage was 15.72 feet. Flood Stage is 16 feet. The river is expected to rise above flood stage by late Monday morning and continue to rise to a crest near 16 feet by Monday afternoon. 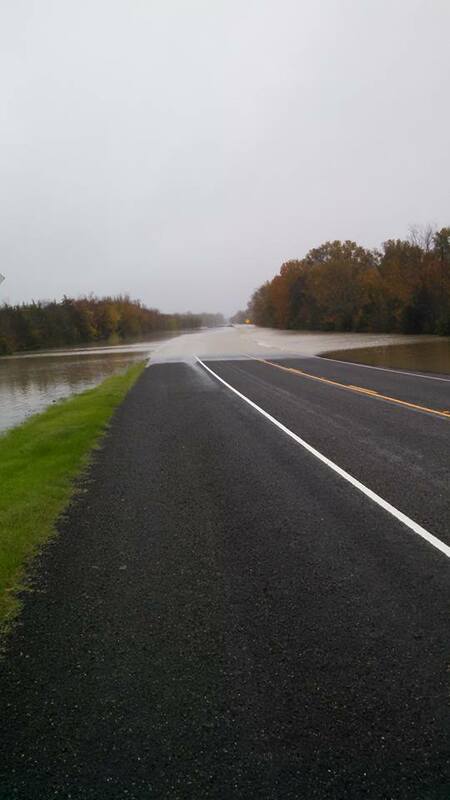 A few rural roads will begin to flood if the river flooding does occur. The Delta and Hopkins County area are under a Flood Watch in effect through 7 a.m. Tuesday morning for Hopkins, Delta, Rains, Hunt and a number of counties in Northeast and North Texas. Multiple rounds of showers and isolated thunderstorms are expected through Tuesday. Rainfall amounts in the Flood Watch area will average between 3 and 5 inches with isolated 7 inch amounts possible. A flood watch means that conditions are favorable for heavy rain which may lead to flooding of low lying areas and locations along creeks, streams, and rivers.